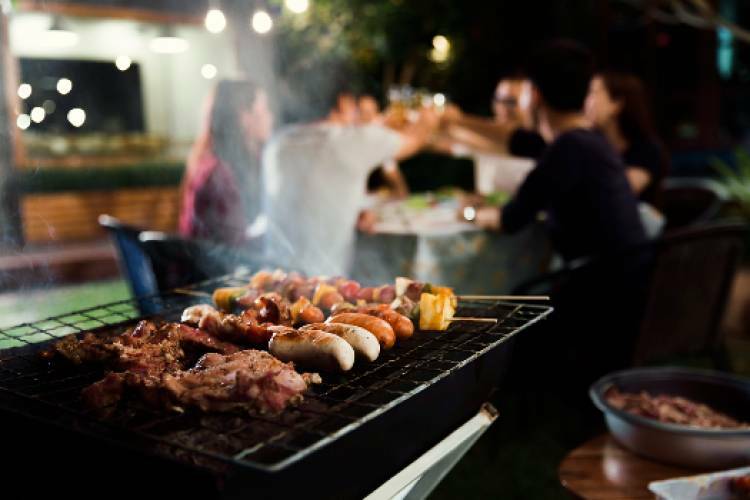 It’s time to barbeque under the stars by the pool at The Gateway Hotel IT Expressway Chennai. The pop-up restaurant by the pool is transformed with moon lighting, themed music, casual seating and free flowing gourmet steaks and grills, with a regional twist. Relish the Chef’s special Citrus fruit and thyme crusted Grouper, Sundried tomato and caper garlic prawns, Barbecued Squids Jumbo Rings,Grilled Lobster Thermidor - Mustard & sparkling wine flavoured, Barbecued pesto Chicken skewers, Moroccan spiced Lamb Roast & Tenderloin / black pepper jus on the grills. Also, enjoy your two complimentary shots of Chivas (30ml each) with the dinner.